Is .44 Special Making A Comeback? A round that really doesn't get much love but may be poised for a bit of a comeback is the .44 Special, which is a large-bore revolver round that's a bit milder than some of the more popular revolver cartridges such as the .357 and .44 Magnum rounds. While it may not have the zing of a magnum, it's a very serviceable defensive round without the punishing recoil or muzzle flash of magnum rounds. It can even be employed in a concealed carry revolver, in case you want a conceal a wheelgun with a bigger bullet than a .38 Special. Most recently-devised revolver rounds are large, potent magnum cartridges; the .44 Special, or .44 S&W Special as it was initially called, is actually an old bullet, having been introduced before World War I. Smith and Wesson, much as with the .38 Special, wanted to convert a popular black powder round to smokeless powder. To do so, they lengthened the case of the .44 Russian, a very popular round of the day, and used smokeless powder (state-of-the-art at the time) to create the .44 S&W Special cartridge for their New Century double-action revolver, later re-branded the Hand Ejector, which was a very widely distributed service pistol among police and military forces and the first of the N-frame revolvers, which remain in production to date. The .44 Special started to fall out of favor with the advent of magnum revolvers, starting with the .357 Magnum and certainly after the invention of the .44 Magnum. The .44 Magnum, in point of fact, was created by handloaders (and at that, largely by Elmer Keith) who noticed the .44 Special's case length - which was long for the amount of powder used - could accommodate more powder, which meant the bullet could be sent downrange much faster than factory loads allowed. 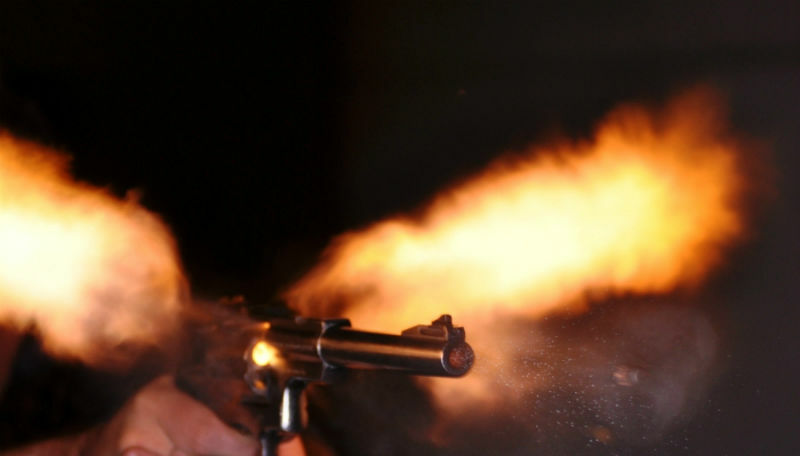 Just like the.357 Magnum was made by making the .38 Special's case a little longer and adding more powder, the .44 Magnum was invented by doing the same thing with the .44 Special. Since magnum rounds have been more or less THE thing for revolvers since basically the 1930s, fewer gun makers have been willing to bother selling a .44 Special revolver. There are a few tangible benefits of a .44 Special revolver over a magnum. One might be tempted to think that since it's NOT a magnum, it's a weak cartridge but the truth is that it's more of a medium-velocity big-bore cartridge. The .44 Special has similar ballistics to .45 ACP in some regards, in that muzzle velocity is somewhere around 800 to 900 feet per second in many loadings and about 300 foot-pounds of energy. The typical round is 200 grains, though larger and smaller projectiles are available. Big-bore rounds close to these performance figures were more or less THE standard for service rounds for a very long time; other rounds like .45 Colt and .455 Webley were much the same. Right now, one of the most popular defensive rounds on the market is the aforementioned .45 ACP, making the .44 Special more than adequate as a defensive round. Additionally, and these are other key points, the .44 Special has dramatically less recoil than .44 Magnum and it also has the benefit of being cheaper. Thus, shooting .44 Special costs less than .44 Magnum, can be shot for longer periods and for less money. Whilst magnums aren't going to ever be any less in vogue for revolvers, the upshots can't be ignored. Since the .44 Special can be chambered in .44 Magnum revolvers, that's exactly why a lot of people practice with .44 Special and only carry magnum rounds when they'll be used, such as when carried for protection against two- and four-legged critters. Selection isn't exactly overwhelming, but there is a decent amount of diversity of choice when it comes to finding a .44 Special revolver. 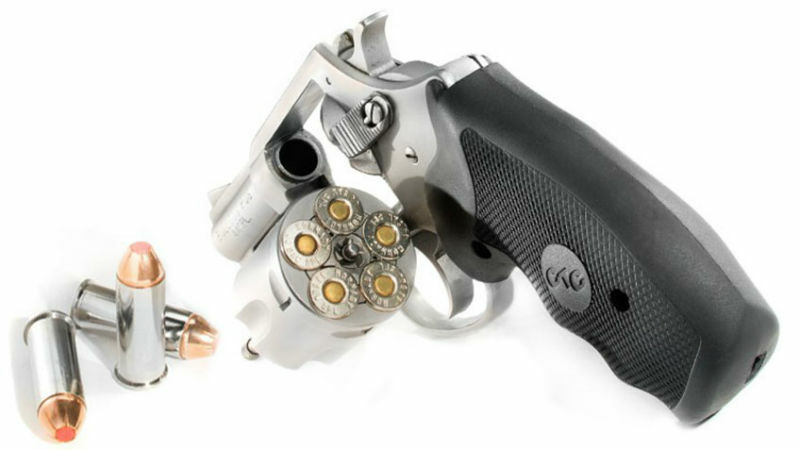 Full-size and compact models are available, in case a person desires a moderate large-bore revolver for concealed carry. Most famous, or perhaps infamous, is the Charter Arms Bulldog, a snub-nose double-action 5-shot compact. The Bulldog is offered in several configurations, including DAO and traditional double-action operation, and multiple barrel lengths and finishes. Ruger recently released a GP100 chambered in .44 Special, putting the cartridge to use in a service-size revolver. The GP100, engineered from the ground up as a .357 Magnum service gun, is widely considered one of the best double-action revolvers available and will certainly run the .44 Special with ease. Ruger also offers the Blackhawk in .44 Special. The Blackhawk, available in diverse chamberings, is a single-action pistol based partially on the Colt Single Action Army (Peacemaker) and is a favorite among handloaders. For the handloader looking to run hotter rounds than what they can get from factories, this would be the pistol to get. Colt also offers .44 Special in the New Frontier, a single-action "flat-top" variant of the SAA. While the Ruger is based on a Colt design, the New Frontier is the original article. There are also a number of reproduction revolvers chambered for .44 Special as well, though these are almost exclusively single-action. Additionally, care must be taken not to exceed chamber pressure tolerances, as these firearms aren't typically made as strong as modern pistol designs.